The Beale Street Music Festival 2019 lineup is out! Riley Green, Keith Sykes and The Revolving Band and Fast Cash Boyz we're just added to the lineup! Dave Matthews Band, The Killers Cardi B and Khalid will headline; G-Eazy, Onew Republic, Charlie Wilson, Shinedown, Gary Clark Jr and Indie.Arie also top the list! See the lineup poster farther below for a complete listing, including individual day lineups. The Beale Street Music Festival schedule is also out, so you can see who's playing when and where. 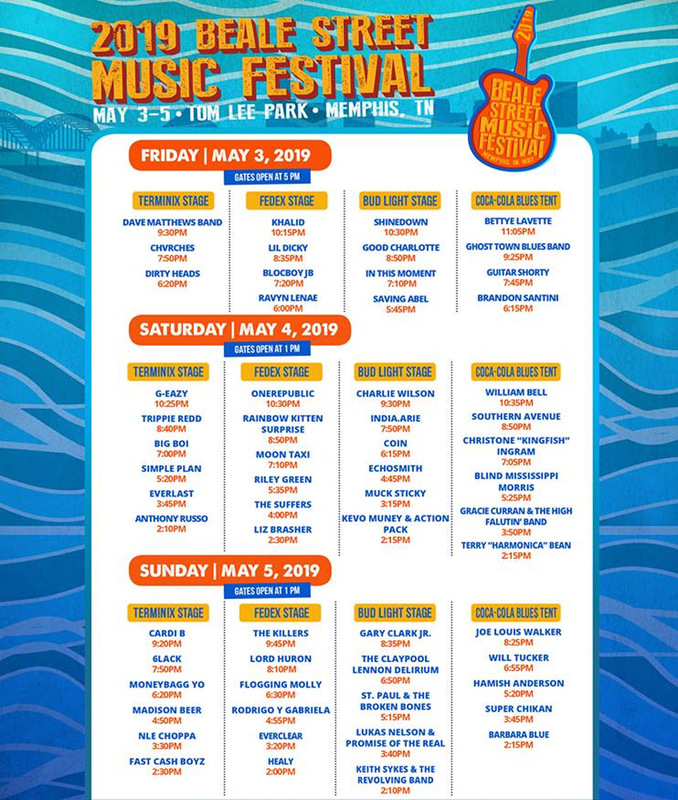 Beale Street Music Festival 2019 features a lineup of alternative rock, hip hop, indie rock and electronic music as part of the Memphis in May celebration!The official Tickets are on sale now! It happens on four stages over three days with over 60 acts. 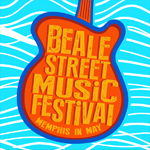 Beale Street Music Festival dates are May 3 - 5, 2019. 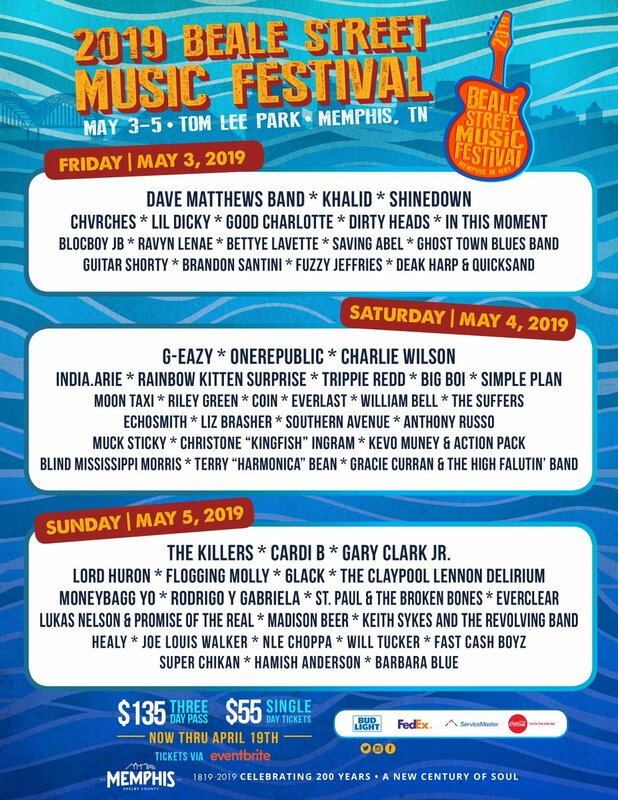 The Beale Street Music Festival 2019 lineup & Beale Street Music Festival 2019 tickets are below! Beale Street Music Festival tickets are on sale! Weekend tickets for GA and VIP are available! Single-day tickets are available in General Admission. The Beale Street Music Festival lineup for 2019! Dave Matthews Band, The Killers Cardi B and Khalid headline! G-Eazy, Onew Republic, Charlie Wilson, Shinedown, Gary Clark Jr and Indie.Arie also top the lineup! The Beale Street Music Festival schedule for 2019!